As the race for the number one seat in Lagos State continues to raise dust amid fear that the incumbent governor, Akinwumi Ambode may not get the nod of the All progressives Congress (APC) in the state for another term in office, frontline entertainers are already pitching their tent with the governor’s camp, declaring their total support for him. Indication to this emerged on Tuesday as some notable celebrities in the comedy and music circles in the state declared their support for the governor, a move that was said to have pitched them against other camps that are said to be working against the interest of the governor’s second term bid. As of Tuesday, R observed that some celebrities took the battle to the social media space with the intention to show their support for the governor, as posters of Ambode’s second term bid were seen on their Instagram pages. It is believed that some of the celebrities had resolved to use their popularity and goodwill to sway opinion in Ambode’s favour. 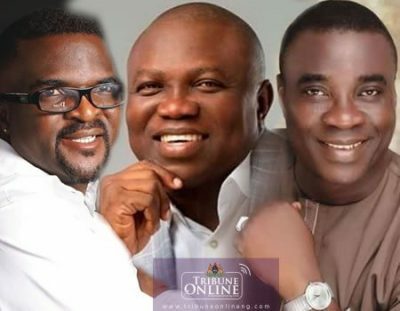 Findings by R revealed that popular comedian, Ali Baba, movie maker, Kunle Afolayan, veteran actress, Joke Silva and music star, Humblesmith were a few of the frontline entertainers, who have publicly aligned with the second term ambition of Ambode. 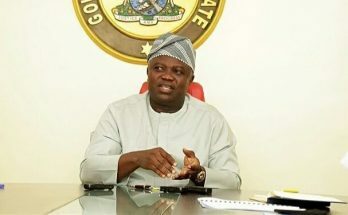 It is believed that a large number of entertainers are throwing their weight behind Ambode as they see it as a payback time for the man, who has encouraged and supported their trade in the last three years. Those who are yet to declare their support for or against the incumbent governor, R learnt were still weighing their options, as a source who is privy to happenings among the entertainers in the state, informed that more celebrities may join the cause as soon as the ‘coast seems clear’ for the embattled governor. 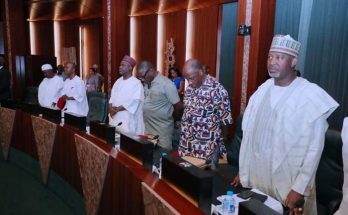 The situation, it was learnt, appeared to have caused a crack among the camps loyal to the governor and others whose interest lies elsewhere. It was gathered that some entertainers are keeping their cards close to their chest. 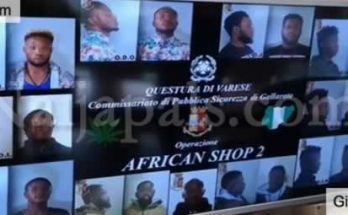 Some of them, who spoke to R under anonymity, said there was no reason for disunity as everybody has the right to associate with whoever they like. “The question of who follows who or splits, does not even occur,” a prominent celebrity said. While some have made their intention known to the public others are not willing to speak as of press time. 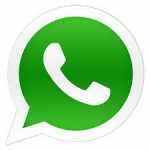 R learnt that celebrities, who are loyal to a national leader of APC, Senator Bola Tinubu and those whose interest lies with the governor, are being careful of what to write or post on their social media handles. Meanwhile, Fuji musician, Abass Akande Obesere has called fellow fuji king, Alhaji Wasiu Ayinde ‘K1 De Ultimate’ a serial betrayer over his stance on the current crisis that has engulfed ruling APC in Lagos State, describing him as an ingrate, who does not always care to bite the fingers that fed him.